Take the fear out of quilting feathers! 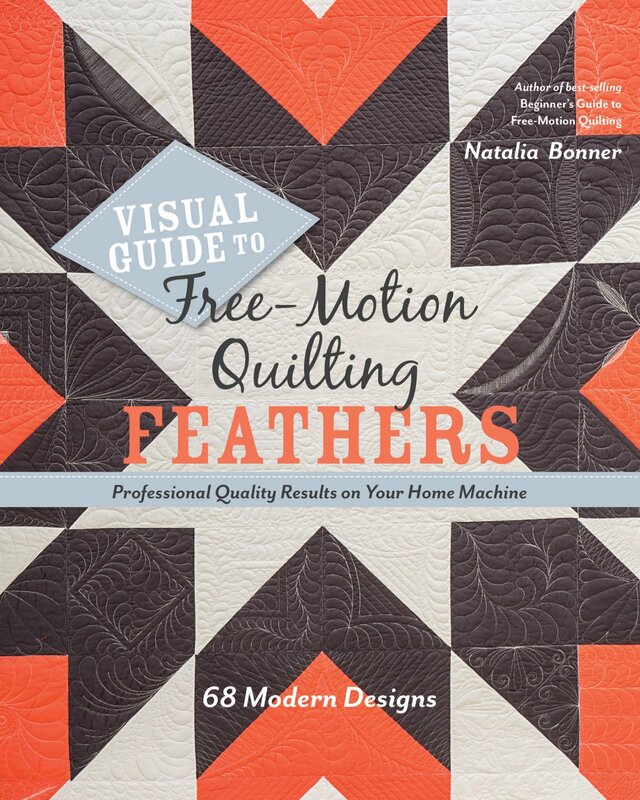 Explore 68 modern feather designs with step-by-step guidance from award-winning quilter Natalia Bonner. Quilt stunning feathers on a variety of blocks and borders with this beginner-friendly, visual guide. Unlike traditional feather quilting, which relies on exactness and precision, Natalia’s ideas will help you break away from perfection and find creativity in your quilting practice. Use your home sewing machine or a longarm to free-motion feathers with confidence, adding a truly elegant finish to today’s modern quilts.